Himesh is the CEO and member of the Board of Directors of Synacor (Nasdaq: SYNC), a trusted technology, services, and revenue partner for over 100 Internet service providers, 1000 publishers, and 4000 enterprise customers around the world. He has led the turnaround of the business through organic growth and M&A, putting it on track to deliver revenue of over $140M, its third year of growth, and profitability. Himesh joined Synacor from Comcast where as VP, New Services and Platforms his team incubated and operated a portfolio that spanned video services, cloud services, payment platforms, advertising, next-gen set-top boxes, and digital marketing. As VP and General Manager and Corporate VP Revenue Development, Himesh led the Broadband business at Charter Communications. He outperformed the industry in data revenue growth, developed multi-platform video services, drove higher broadband speeds, and launched a rapidly adopted wireless networking service. Prior, Himesh was the VP and General Manager of AOL Mobile and created a leader in messaging, search, and entertainment products working with carriers and OEM’s around the world. He started his career as an Associate Partner in the Telecom and M&A practices of McKinsey & Company. Himesh received his MBA from the Wharton School, and his MA in Economics from Temple University. He has received several industry recognitions such as the Cablefax100 list of the most powerful executives in cable and the Most Innovative People in Multiscreen. 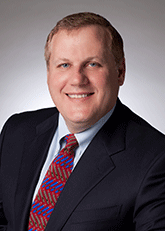 Dave Kotch, Vice President & Chief Information Officer, began his career with FMC in 1984. Since then, he has held various positions within the Information Technology (IT) organization. Dave was instrumental in leading FMC’s SAP implementation in the late 1990’s and formed FMC’s SAP competency center, which provided support for the SAP systems following the implementation. In 2002, Dave was promoted to Director of Information Technology and served in that role until he was appointed Chief Information Officer in 2007. During his tenure as Chief Information Officer, Dave and his organization have helped FMC complete multiple acquisitions and divestitures which transformed FMC into a leading global agricultural chemical company. 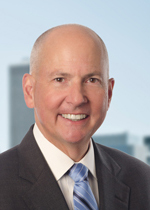 Dave is a member of the Mercy Health Systems Board of Directors and its compliance subcommittee. He is also a member the Chemical Information Technology Center’s CIO organization and the CIO Executive Summit, belongs to various business associations and resides on several boards within his local community. He received a Bachelor of Science degree in Information Systems with a minor in Economics from King’s College, and a Master of Business Administration degree in Marketing from Temple University. Satbir Bedi is Chief Technology Officer of Scholastic Corporation, the global children’s publishing, education and media company. In this role, Bedi shapes Scholastic’s technology strategy, software development, and operations to support business priorities, including the development of digital products, sites, and services that meet the needs of the company’s global educator, parent and child customers. He serves on the Management Executive Committee. 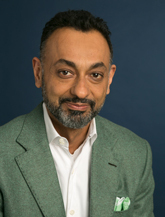 Bedi joined Scholastic in 2012 bringing his experience in technology, publishing and academia to lead the technology transformation at Scholastic. Since joining the company, Bedi has upgraded and reengineered the technology organization to better align the group with business priorities, including eCommerce and digital subscriptions. He moved business applications out of data centers and into the cloud, shifting the company from a high fixed cost infrastructure model to a variable cost model based on usage, thereby allowing Scholastic to scale its infrastructure to flex with peak volume. Bedi also created a new global technology operations group and transitioned the engineering organization to an agile delivery model, delivering new software features in frequent increments, which enabled the group to respond rapidly to changing market needs. He works with other business leaders on innovative business models, and evaluates and integrates technology centric acquisitions. He continues to improve systems and processes to provide product and customer analytics that will improve marketing and sales to drive revenue growth. Bedi also upgraded the caliber of talent within the division by creating a college associate program attracting millennial talent to engineering positions and recruiting experienced technology leaders. Prior to joining Scholastic, Satbir Bedi served as Chief Learning Technologies Officer for Pearson International in London, having served Pearson in previous roles as Senior Vice President, Software and Technology Services, and Chief Technology Officer. At Pearson, he helped transform the company into a leader in the educational services industry including building digital services and digital delivery of products. 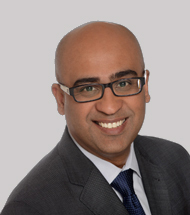 From 1998 to 2004, Bedi was at McGraw-Hill where he held several editorial and technology roles. He was also Publishing Director at Macmillan following six years as Assistant Professor at a University teaching courses in computer and information sciences, management and business strategy. Satbir Bedi holds a Bachelors in Commerce (Honors) from the University of Delhi and an MS in Computer and Information Sciences from Temple University. Mr. Desai has served as the Chairman of the Board and Chief Executive Officer at Emtec since August 2005. From 1986 to August 2005, Mr. Desai was the Chairman and CEO of DARR Global Holdings, Inc., a management consulting firm. Since 2004, he has also served as Chairman on the Board of Directors of Emtec Federal, Inc. (formerly Westwood Computer Corporation). Mr. Desai was a President, CEO, Co-Chairman and an owner of Western Sky Industries (“Western Sky”), a manufacturer of highly engineered, proprietary component parts used primarily in aerospace applications. Western Sky grew from approximately $3 million in revenues to over $170 million in revenues during the 1990’s prior to being sold to McKechnie P.L.C., in 1999. Prior to 1986, Mr. Desai spent twelve years with American Can and Arco Chemical in various management positions, including marketing, manufacturing, finance, planning and research and development. 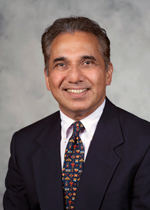 Mr. Desai has also served as a member of the Board of Directors of the Enterprise Center, a Nonprofit Organization. Mr. Desai holds a Bachelor of Science Degree in chemical engineering from the Indian Institute of Technology in Bombay, India, and a Masters of Science Degree in both chemical and industrial engineering from Montana State University. He earned a Masters in Business Administration from Temple University in 1978. 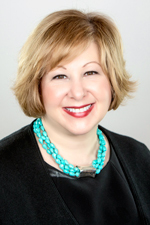 Linda Descano, CFA®, is Managing Director and Head of Content and Social at Citi, responsible for social media and content marketing efforts for the U.S. consumer businesses. Linda also serves as President and CEO of Women & Co., Citi’s award-winning digital publisher of financial lifestyle content. Over her 20 years at Citi, Linda has had a very diverse career, holding a number of roles across different businesses and functions. She joined Citi predecessor Salomon Inc. in 1994 as Vice President of Environmental Affairs. In 1999, Linda became a director and portfolio manager at Citi’s Private Portfolio Group. Linda joined Women & Co. in 2003 as Chief Operating Officer and was named CEO in 2010. She also served as Chief Administrative Officer of Global Marketing & Corporate Affairs from 2008-2010. Linda assumed her current responsibilities in 2012. Linda is a regular contributor to Citi’s Financial Fitness blog, Women & Co. and Manilla.com and a member of the LinkedIn Influencer program, writing on an array of personal finance, career and leadership, and marketing topics. She was selected as one of GoBankingRates.com’s Most Popular Personal Finance Experts in 2013. An accomplished speaker, Linda has spoken at hundreds of conferences on an array of personal finance, content marketing, and career topics. She is regularly sought out by the media for her expertise, and has been quoted in: Smart Money Magazine, The Los Angeles Times, Business News Daily, MORE Magazine, American Banker, Digiday, Ad Age, The Daily Rap on the Wall Street Journal Radio Network, The Washington Post, Yahoo Shine, MSN Money, Forbes Woman and many more. She has contributed to countless newspapers and websites including The Huffington Post and Working Mother. Among her many accomplishments, Linda was honored as one of “10 Women Who Run the World” at the 2013 More Magazine/Fitness Magazine Women’s Half Marathon, and is the recipient of a Changing the Game Award from the Advertising Women of New York in 2013; a Women of Excellence Award from the National Association of Female Executives in 2012; a Luminary Award from Womensphere in 2011; a Corporate w2wlink Ascendancy Award in 2009; and a Wise Woman of the Year Award by the National Organization of Italian American Women in 2008. Linda also will receive the Pinnacle in Leadership Award from the Girl Scouts of Greater New York in April 2014. Passionate about community service, Linda is on the Board of Directors of Girl Scouts of the U.S.A., the Director’s Council of the Penn Museum, and the advisory boards of Eve Echo, Fab&Fru and Generations. Linda currently serves as president-elect of New York Women in Communications and is an executive member of Advertising Women of New York. She is the past national vice chair of Step Up Women’s Network. She also is a member of the Financial Women’s Association, New York Society of Security Analysts, and National Organization of Italian-American Women.